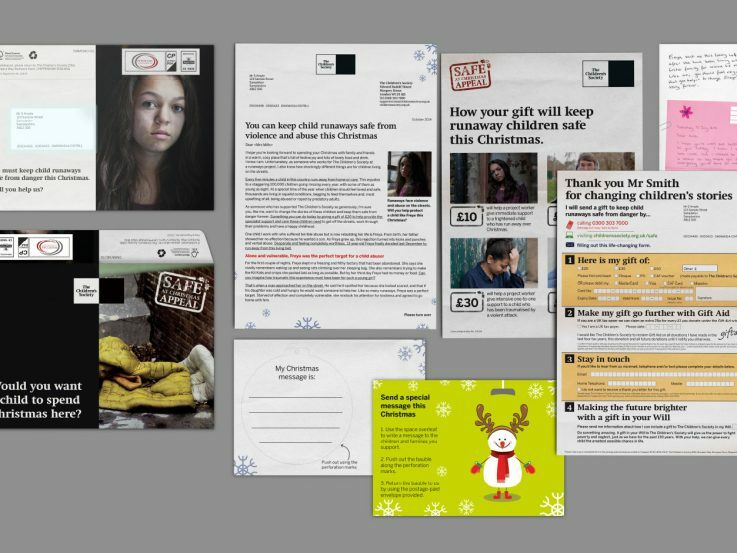 As part of the Safe at Christmas Appeal we wrote and designed the DM pack centred on Freya’s story, a 13 year old who had runaway after being physically abused by her father and then further abused by a man who pretended to be a friend. 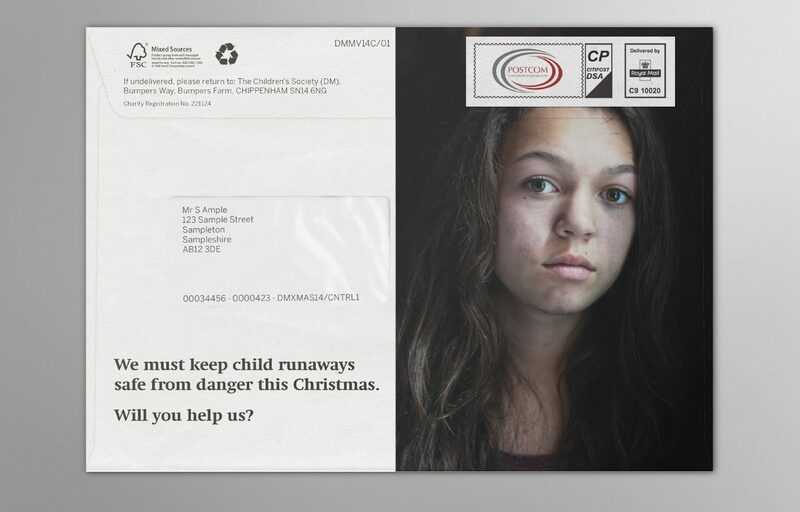 Later abandoned and picked up by the Police Freya came to the attention of The Children Society’s Runaway project who have helped her blossom from the broken child they first met into a confident and happy teenager. We wanted the pack to show the close relationship between Freya and Ruth, the Service Coordinator, and how that bond and trust can turn a child’s life around and literally change their story. 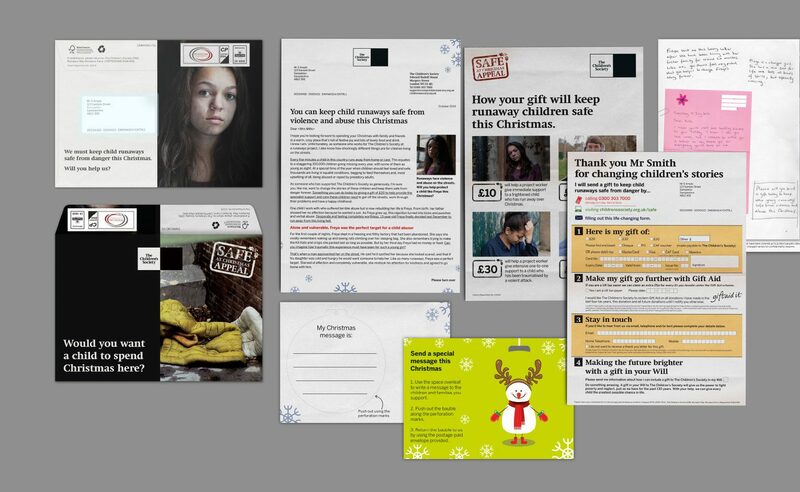 Included in the pack were a letter from Ruth explaining Freya’s story and how The Children’s Society had helped, plus a letter from Freya to Ruth, a Christmas card and dedication bauble. We had a fantastic response. Our target was 10.50% response rate, but we hit 12.23%. 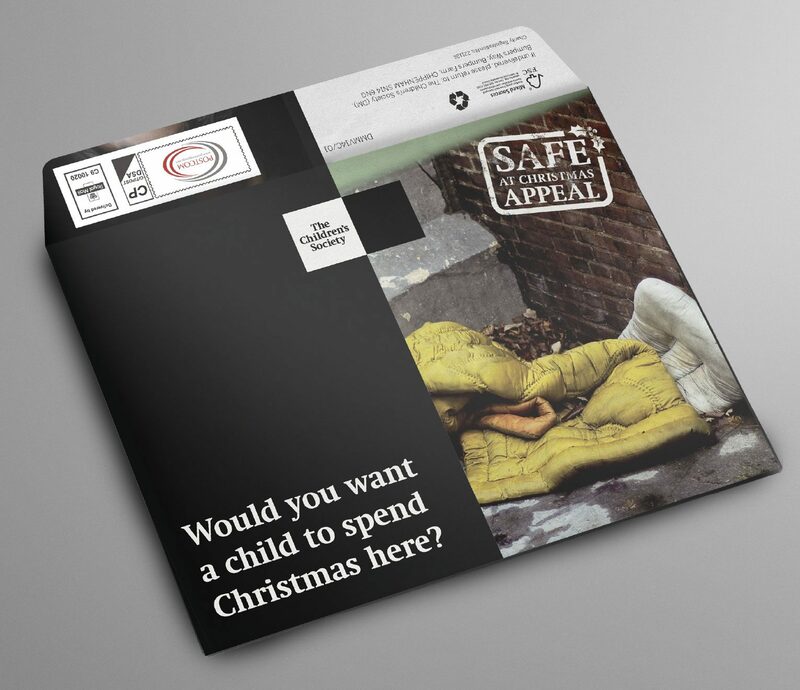 The average gift was up by £2 and total income came in at £106,796, an increase of £17,451 on the original target of £89,345. A truly fantastic result that we’re really proud of.